"There's a fellow who will soon have some rather important documents that we need to get back to Britain safely. How would you fancy the job of making sure he gets there with them?" Bill Blake is a spy at the end of his tether. He just wants to go home, wherever that is now. Despite his genuine reservations, he's forced to accept one final mission to earn his ticket back to Britain. However, what should have been a straightforward 'babysitting' job becomes much more difficult and dangerous with the rapid Fall of France and the effective surrounding of Switzerland by hostile Axis forces. Blake finds himself trapped in the neutral, but threatened Alpine Republic with an ex Naval Gunnery Officer who is in possession of plans and blueprints vital to Britain's ability to defend herself. An instant mutual antipathy between the two men complicates matters as they grapple with the frequent necessity to alter their escape plans, the ever present risk of betrayal and a relentless pursuit by German Military Intelligence. 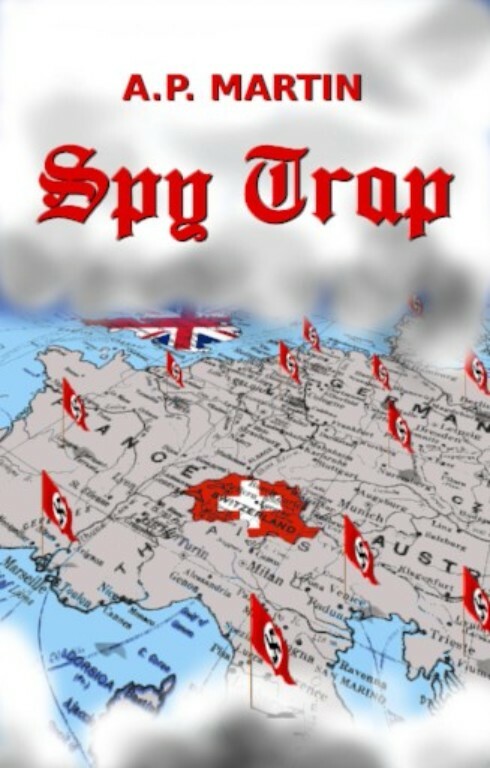 Adapted from little known true events, Spy Trap takes the reader on their epic struggle to deliver to Britain the ability to produce a weapon which would be vital to her survival and ultimate victory. A thrilling fictional tale around how the designs for the [Oerlikon] gun came to the UK. I can give Spy Trap nothing less than five stars. Whispering Stories Book Blog - Amazon Top 500 Reviewer. If you love war stories, you’ll love this book. If you love good writing, travel in enticing and romantic places, then this book is for you too. Check it out. You’ll be glad you did. Five Stars. The story is based on true events…. With fact and fiction being mixed… it works beautifully… quite a tribute to the men and women that did so much in a very unassuming and quiet way. A super read! Five stars. Books from Dusk Till Dawn Book Blog. … a seriously entertaining and great book. It was one of my favourite reads of the year. Five stars.